Hi! I have implemented in MATLAB a digital filter, it is a chebyshev 1 type, fourth order one, Low-Pass with a cut-off frequency of 1 kHz. 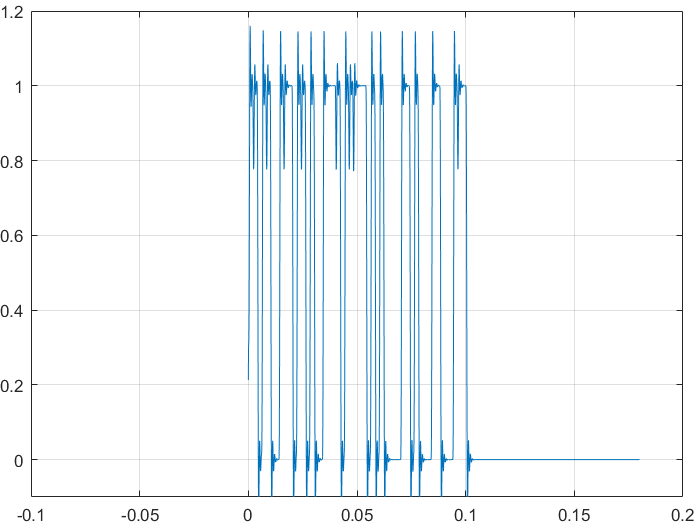 Now I want to test my filter using a data transission process, i.e. a sequence of 50 random bits the bit rate is 500 bit/s. 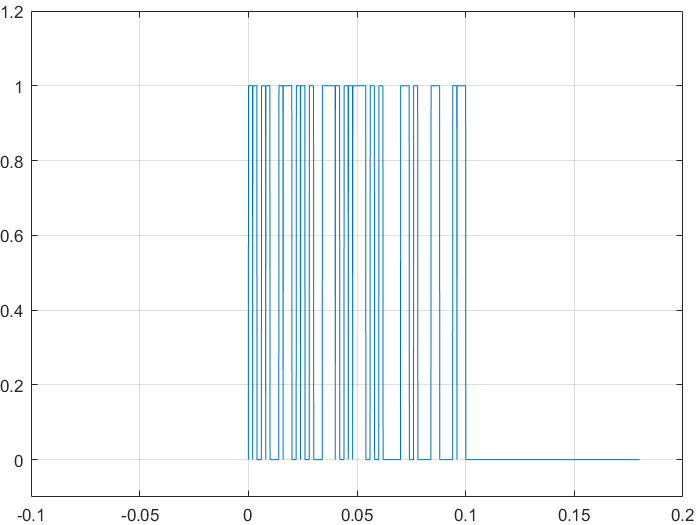 Using as input of my filter the signal of fig1. I get as output the one of fig.2. It is correct? How should interpret the result? I obtain also that the two signals, input and output have very similar mean variance and rms? what does it means? We do not know what your filter is doing. Is it a highpass, lowpass, or something else? It appears that the squarewave input in ‘fig 1’ is being lowpass filtered to eliminate the higher frequencies. This significantly reduces the detail in the filtered waveform, so the lower frequencies (and the ‘overshoot’ and ‘undershoot’ transients at both the beginning and end of the square wave pulses) are now visible. Yes it is a lowpass filter, I forgot this fundamental detail, but I cannot understand how do you say that is eliminating higher frequencies. what would you say about the fact they have the same mean variance and rms? A lowpass filter eliminates higher frequencies by design. It only passes frequencies lower than its designed cutoff frequency. The two signals will have approximately the same mean and RMS values unless your filter removes more of your signal, and especially if it removes the funndamental frequency of your signal. Most of the energy is still in your signal, since higher frequencies usually account for only a small part of it.